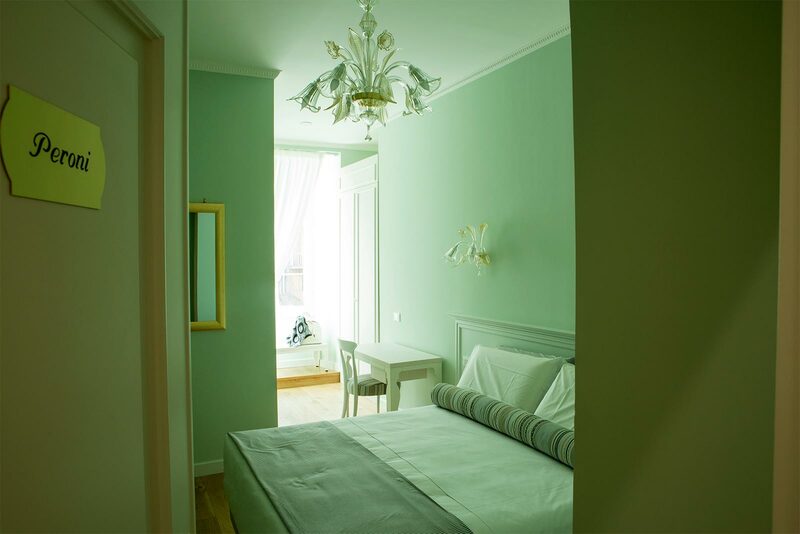 Our home was built in 1914 and is very refined, the ceilings are three meters high and the walls are eighty centimeters thick and there are large windows which guarantee lots of natural light, it offers the fascination of times past. 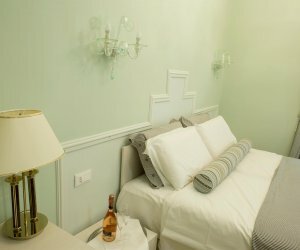 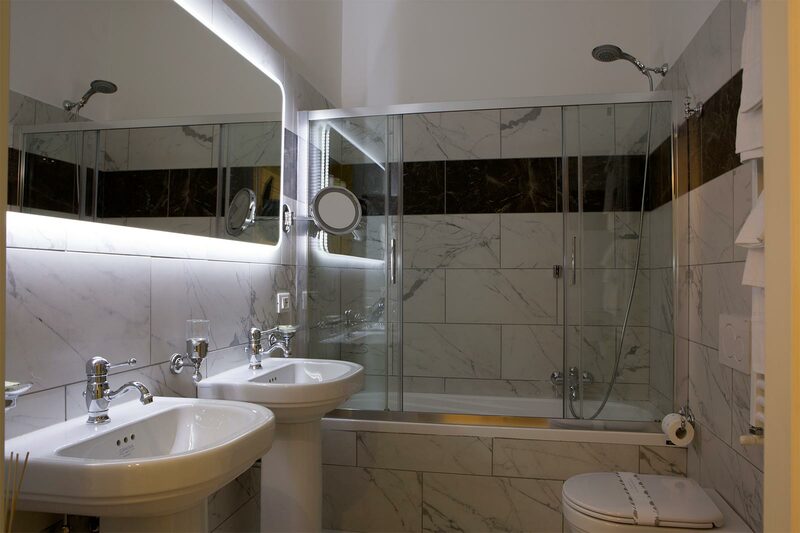 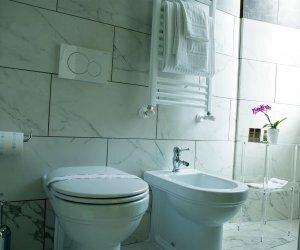 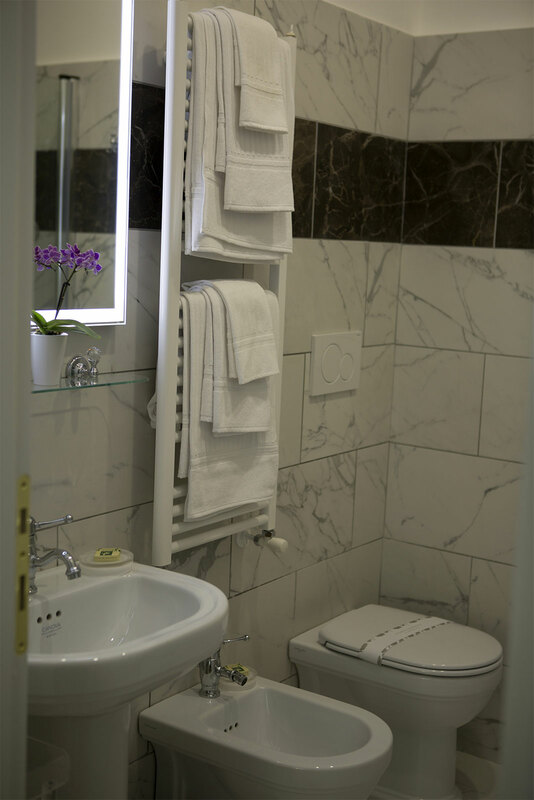 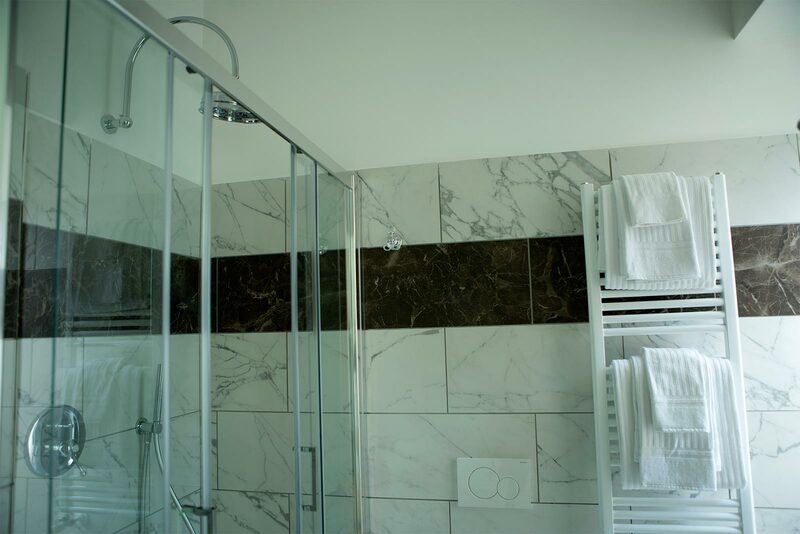 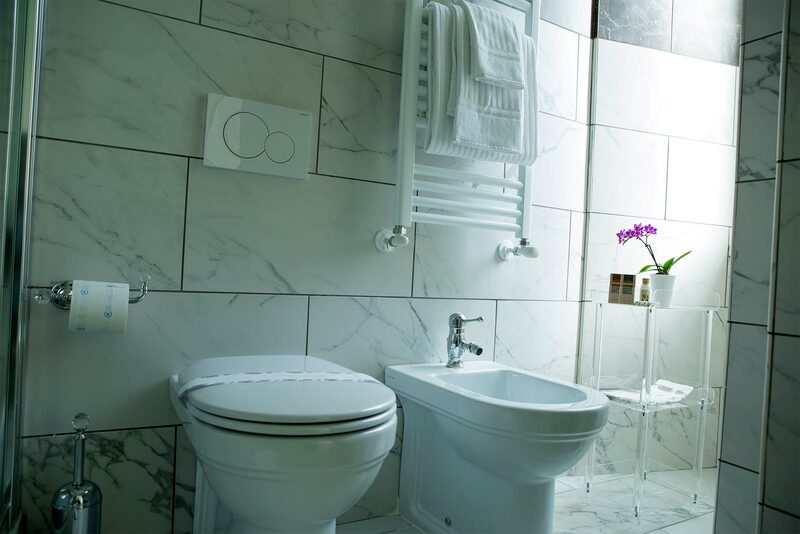 Following a complete renovation in 2016 each room has its own bathroom, air conditioning and adjustable heating, free WiFi, Led TV with flat screen and satellite channels. 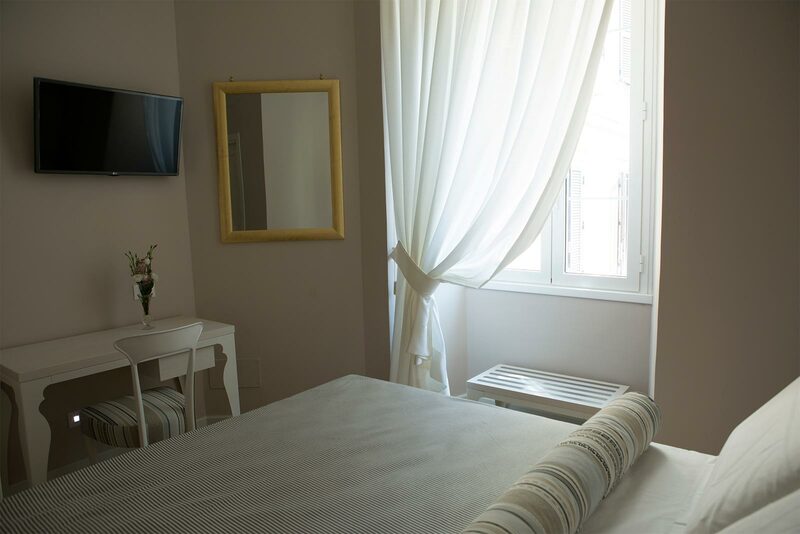 The windows are double glazed for soundproofing and they have aluminium shutters. 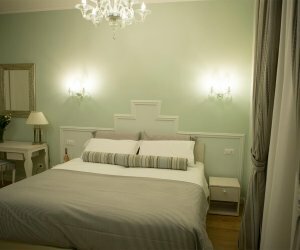 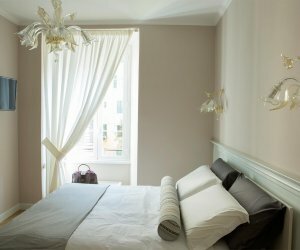 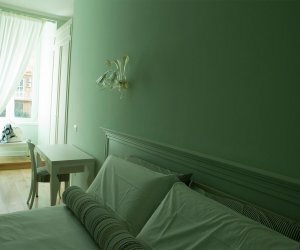 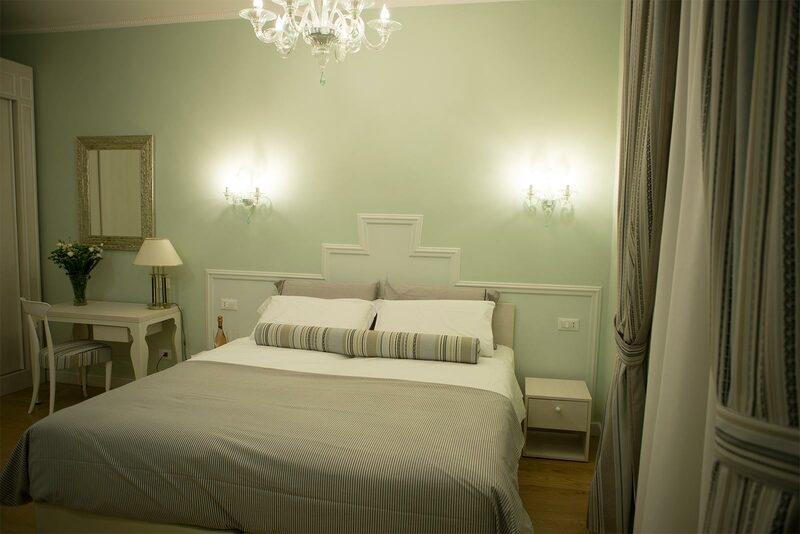 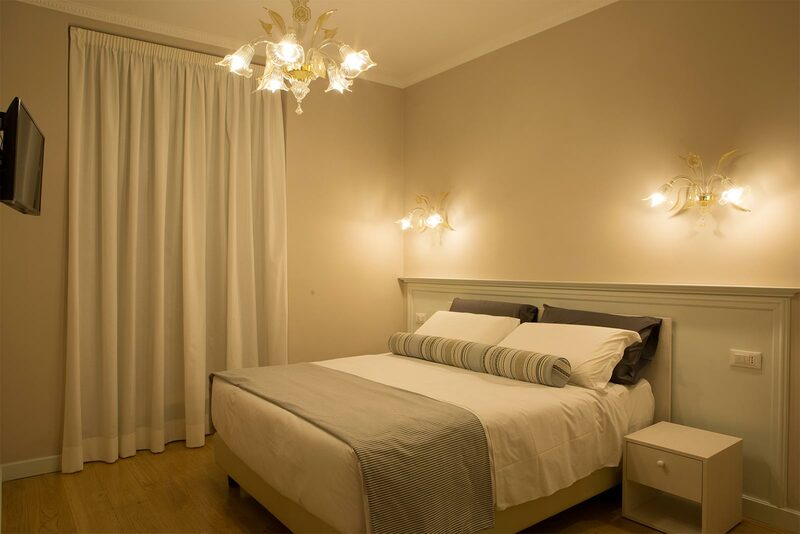 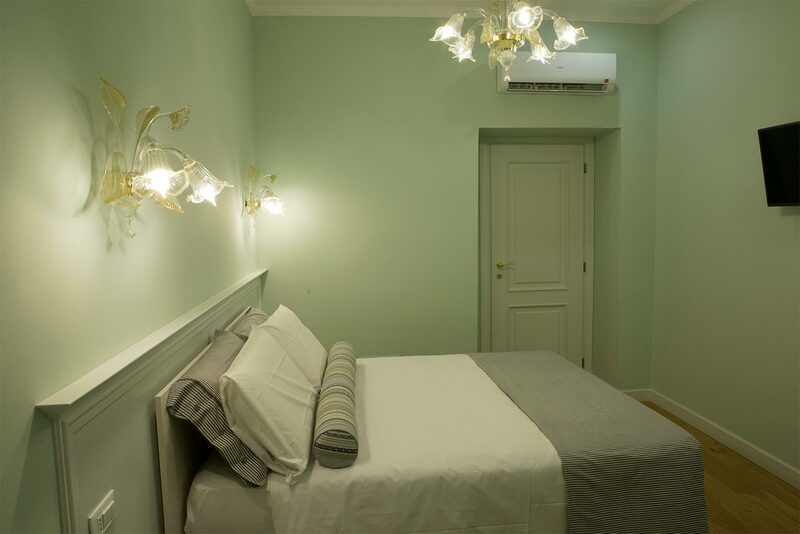 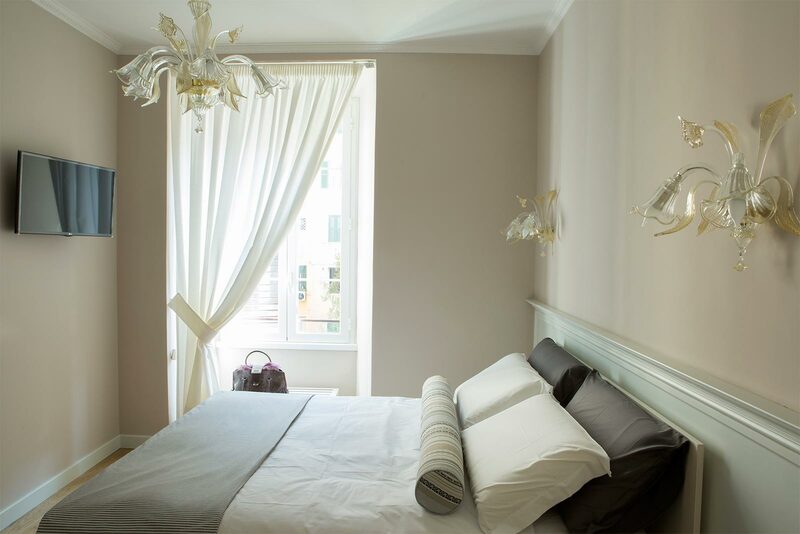 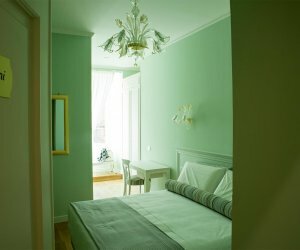 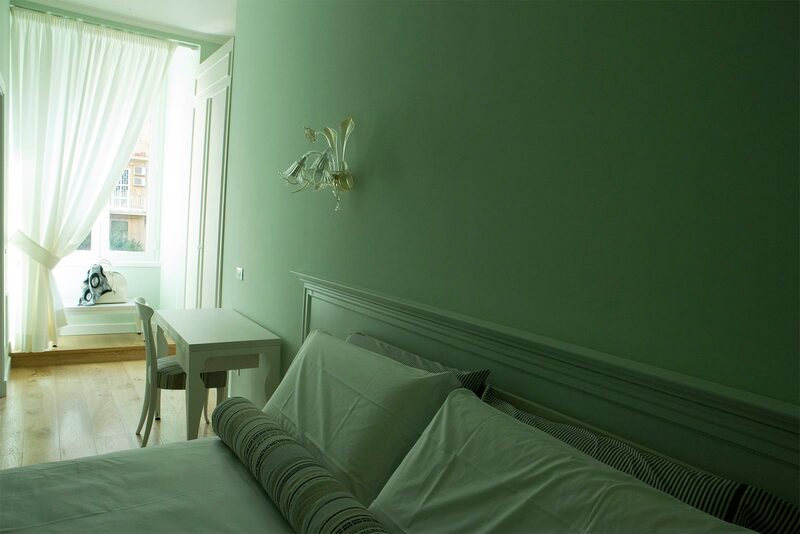 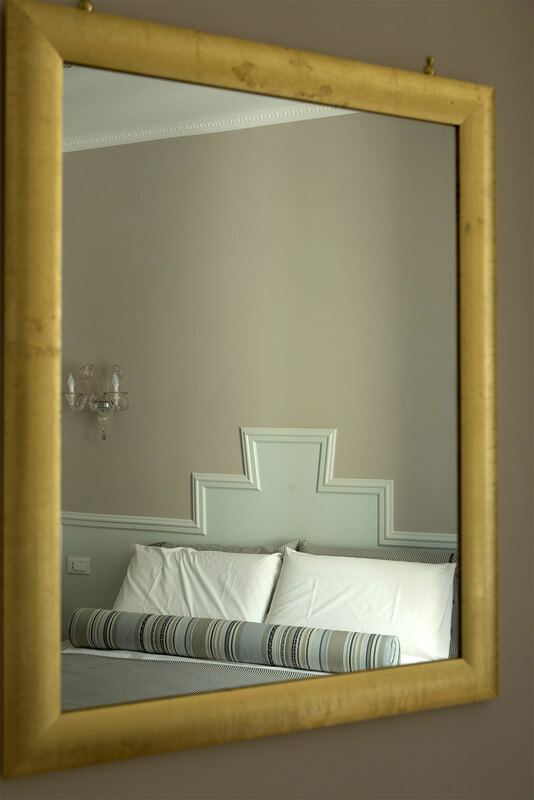 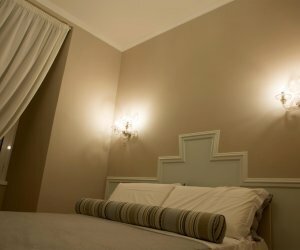 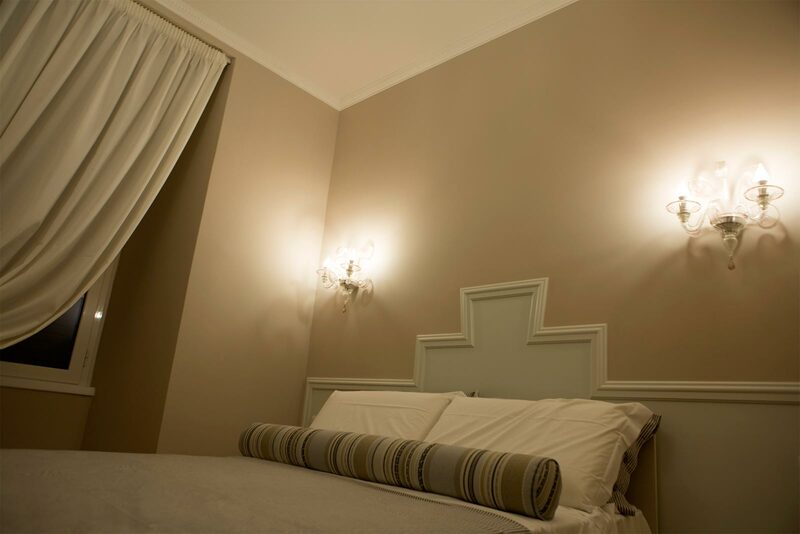 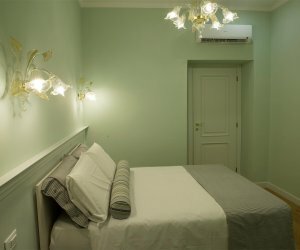 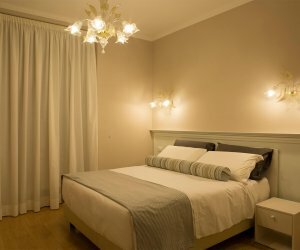 The rooms are furnished with design furniture and lit by splendid Murano glass lamps. 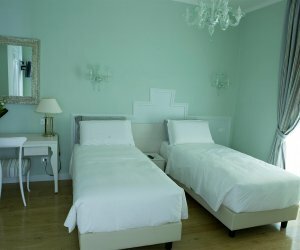 Our mattresses are 35 cms and have a memory layer. 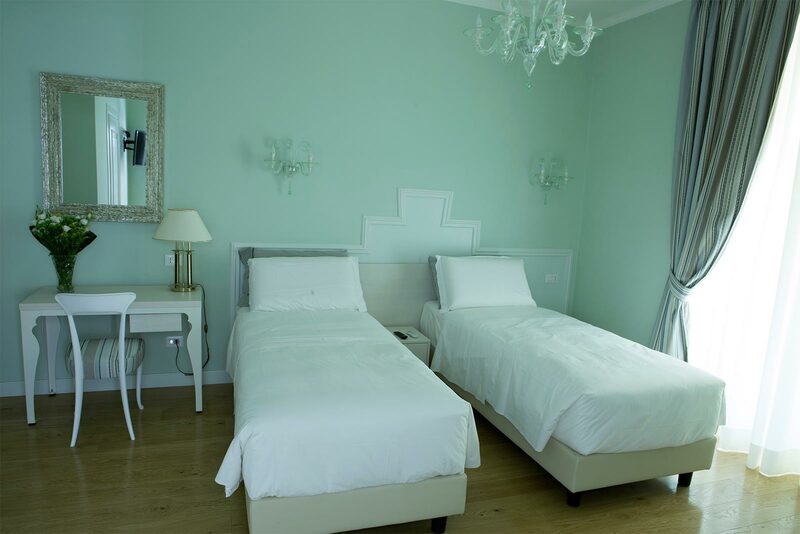 Bath robes, slippers curtesy kit, hair drier and safety box are provided. 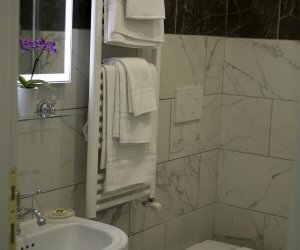 Iron and ironing board are available on request. 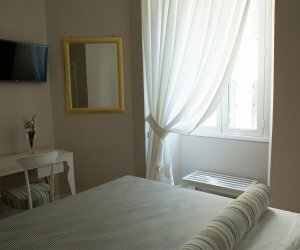 The rates quoted will give you an idea of the cost for each room as they vary during the course of the year and also depend on the length of your stay. 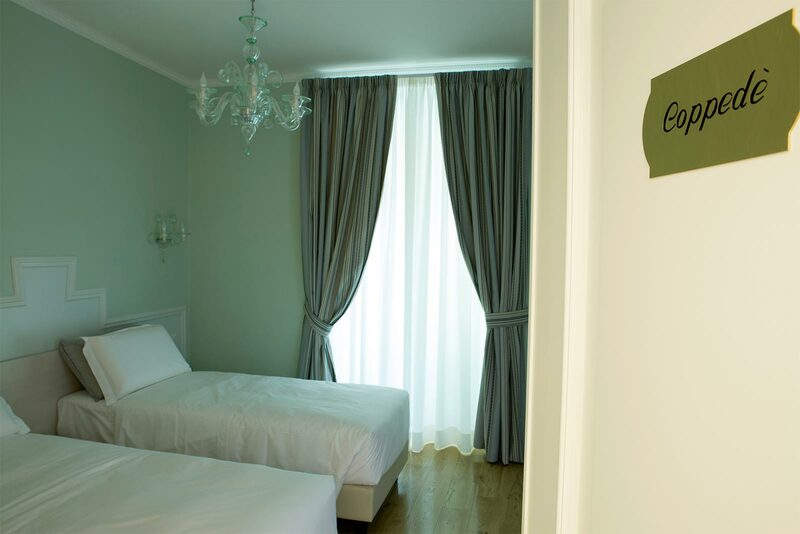 The city tourist tax is not included in the room price. 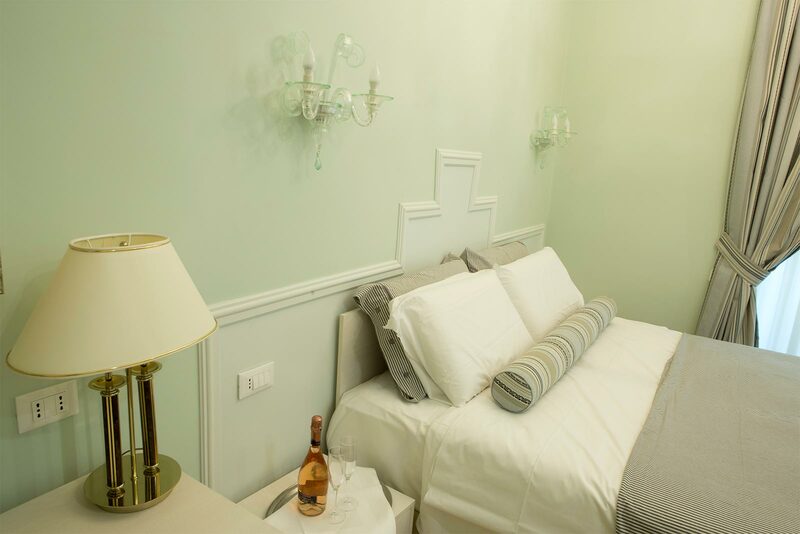 To receive an accurate quote for your stay and any special needs write to us at info@queenmeg.com or book your room on our site: reservation@queenmeg.com or book on our website. 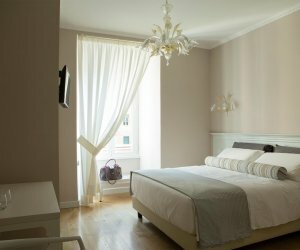 PLEASE NOTE: All prices shown do NOT include the tourist tax (it amounts to € 3.50 per day per person in Rome). 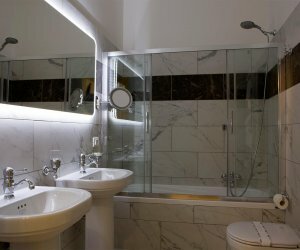 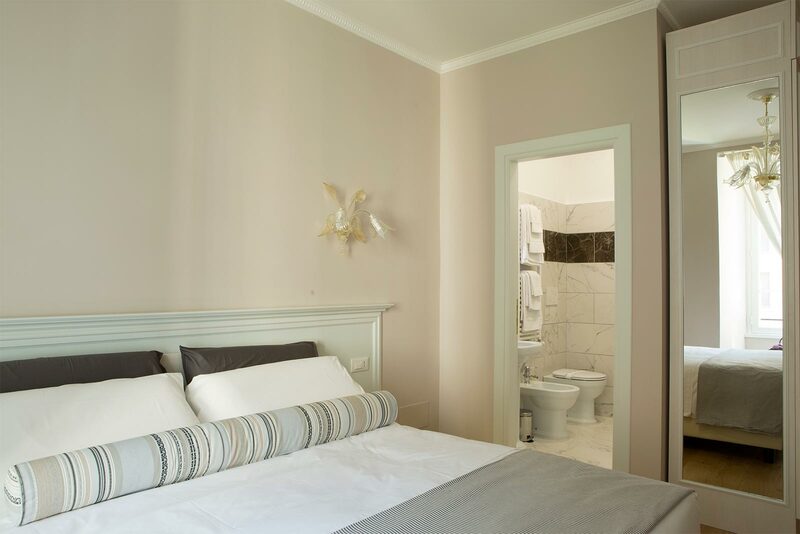 Peroni Room: double room with en suite bathroom. 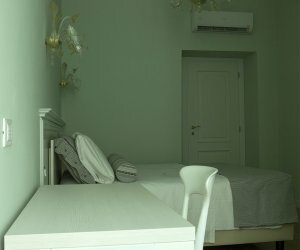 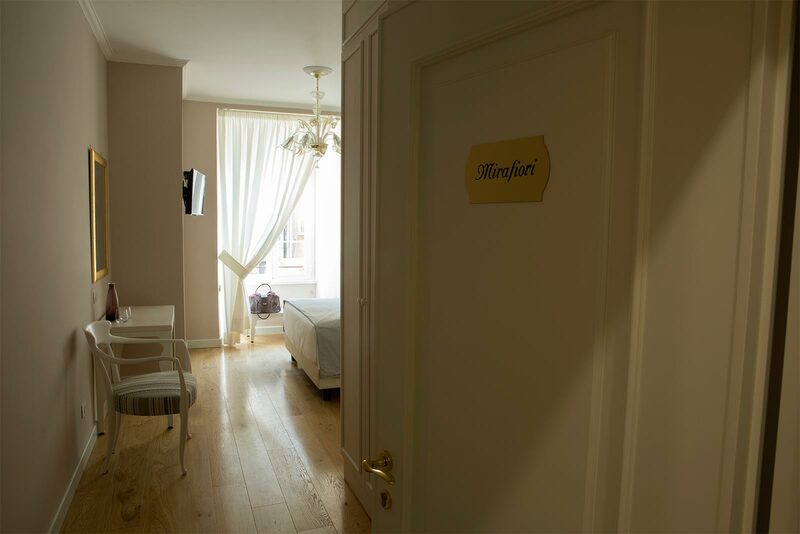 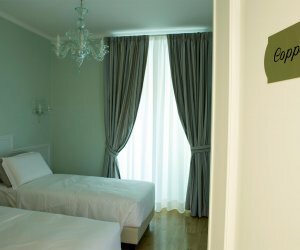 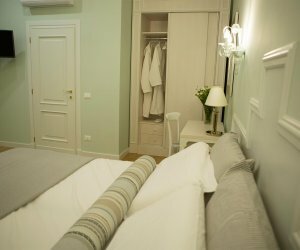 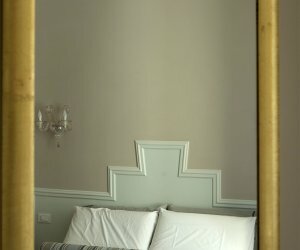 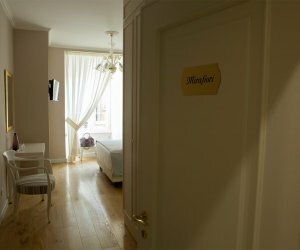 Mirafiori Room: Double room with en suite bathroom. 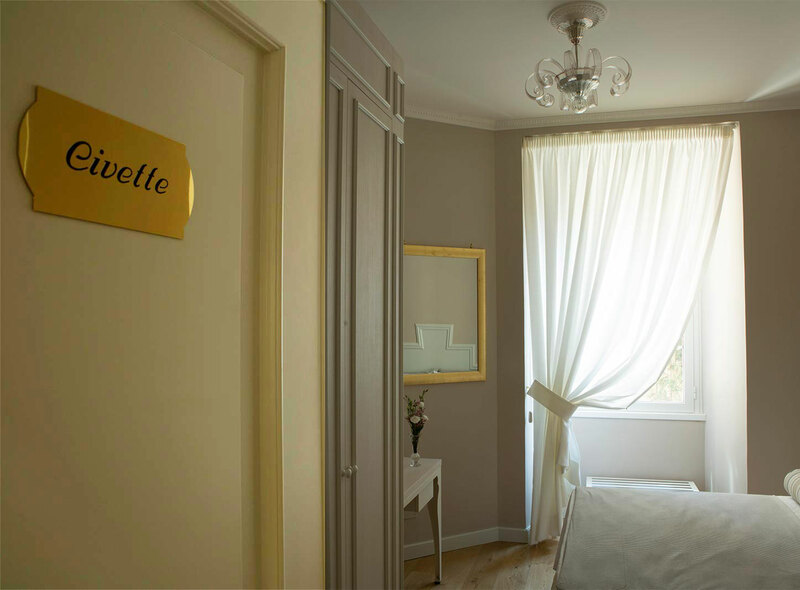 Civette Room: Double room with en suite bathroom. 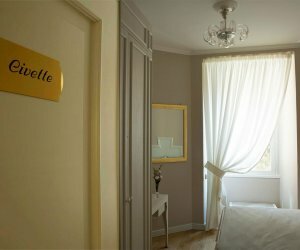 From 14:00 to 20:00 o'clock.